Our private Paris Walking Tours Include: Services of your private Paris tour guide. Not Included in Paris Walking Tours: Entrance fees to sites you choose to visit, cost of meals and drinks. PARIS WALKING TOURS. 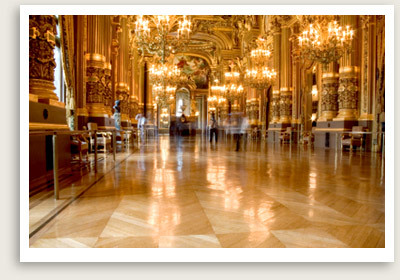 Your private Paris walking tour highlights Opera Garnier, Madeleine and Place de la Concorde. Your Paris walking tour begins at Opera Garnier, the stunning Opera house of Paris, you will learn about the history of this extraordinary building. Your private walking tour of Paris will then continue to Café de la Paix and Place Vendôme, one of the architectural jewels left by the “Sun King.” We will walk around the square to reach Boulevard des Capucines and discover the historic site of the first Impressionist exhibition. Next, you will walk to Place de la Madeleine for a visit to the Madeleine Church. You will finish your Paris walking tour at Fauchon, Hédiard, the most renowned delis in Paris.